After capturing a win in his first heat race, a brief get-off in his second heat left him battling for starting position in the final. A solid start left him trailing teammate Aki Pihlaja through seven laps, but Ishoel finally found his opening to take over the race. That’s how the top two positions stayed the rest of the way. The win was Ishoel’s third of the season, and first since the Jackson Hole, Wyo., rounds earlier in the season. It would take less than 24 hours for Ishoel to add to his season win total. It looked like Ishoel would coast to victory, but Adam Renhiem (Warnert Racing) had other ideas. Renheim found himself in second after four laps and quickly ate up a 5-second gap to press Ishoel to the max. Ishoel responded in championship fashion by picking up the pace and holding off Renhiem to complete back-to-back wins on the weekend. 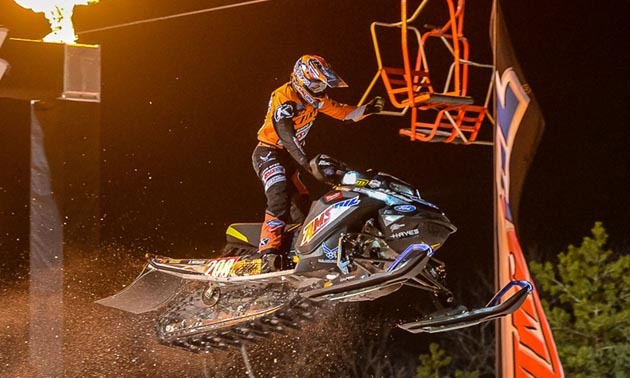 Renhiem finished in second while his Warnert Racing teammate Tim Tremblay charged hard from his mid-pack starting position to take third – and claim yet another Ski-Doo podium sweep – with Pihlaja finishing fourth. 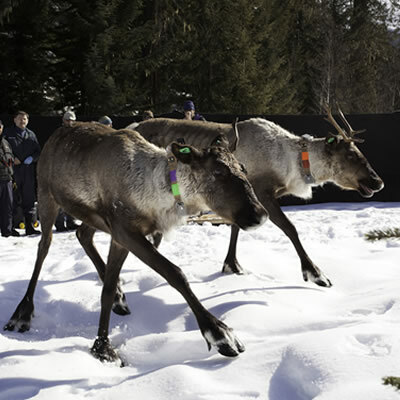 Saturday’s racing action brought some of the toughest conditions of the season with freezing rain, fog and snow all present throughout the day. 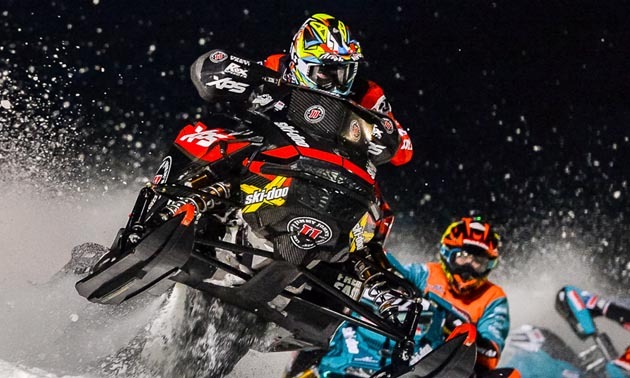 Patenaude put together another solid day, finishing second in the final to extend his overall points lead, while Pelletier charged from a back row start to claim the final podium position. With just two rounds of racing left, Patenaude leads the race for the championship by 19 points over Pelletier. Friday night saw Brodeur notch her fourth win in a row and ninth overall this season. A second-place finish on Saturday means the high-flying Quebec-native has finished in the top two of every race this season. Currently, Brodeur sits 54 points clear of the competition in her quest for back-to-back points championships. 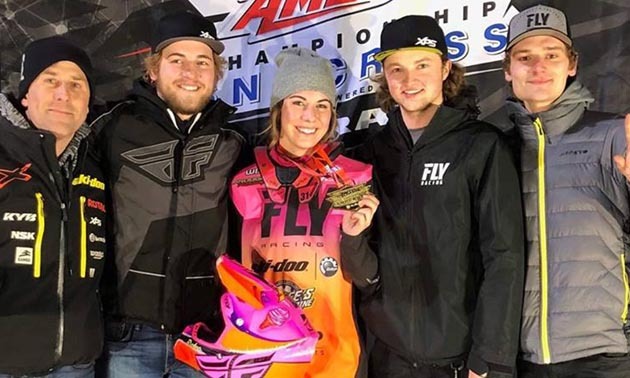 Ski-Doo’s Jordan Lebel has a chance to complete a rare trifecta and capture three points championships in one season. Lebel leads the Junior 14-15, Junior 16-17 and Sport Lite class race for the season points championship by a comfortable margin in all three classes. He helped his cause in Iowa winning in each class and further establishing his stranglehold.